Read on to learn how I went from knowing nothing at all about website building to having a successful income generating website that is helping people. I had no idea of how to go about getting started. I thought that I would have to spend a lot of money to hire someone to build me my dream website. I didn't really want to go this route because I was afraid that anyone I hired wouldn't be able to understand my vision and I was also worried about not having control over the content and being able to make changes or additions any time I wanted. I quickly learned that there were many services out there that showed you how to build a website for absolutely free but when I looked at websites built this way I found that they looked very simplistic, unattractive and didn't really offer the depth of information that I was wanting to share. I stumbled across SBI! - Site Build It! I took some time to read through their homepage, watch some videos and read some testimonials. 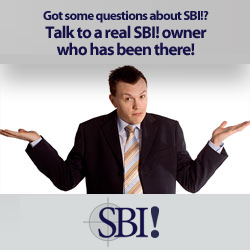 The more I learned about SBI! the more confident I felt that this was the perfect thing to help me learn how to build a website. I started with zero knowledge of how to build a website and SBI! walked me easily through every step. They are also great for people that are well 'in the know' about website building - as I have learned from many others. As my own knowledge grows I continue to learn from their amazing resources. The 10 day Action Guide taught me everything I needed to know to build a successful website. SBI! taught me, not only how to build a great looking and functional website but how to build an income generating website. They have an amazing forum full of fellow SBIers, it's a great community where any questions I have ever had get answered quickly and friendly. They are constantly rolling out updates and new tools for me to use that keep my website up to date and highly functional. I now know how websites work behind the scenes, how I can write a website that can be found by many people and make us money. And it doesn't cost very much. I feel that it is an amazing price for everything that you get in terms of education, support and a formula that is proven effective. I just can't speak highly enough about SBI! 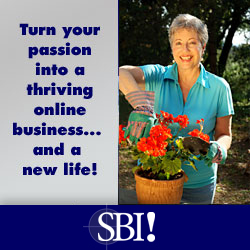 If you are serious about wanting to start your own business by learning how to build a website, I strongly encourage you to check out SBI! Building a website is more than just putting some words and images on a webpage. There is a structure and a proven formula to do it the right way, the way that will have your website found by the masses and the way that will make you money. SBI! will teach you everything you need to know. If you take your time and follow their plan step by step you will end up with a great website that will make you money. You can spend time fiddling around with free website templates or with other website building ideas but time is precious and if you want to do it right from the start, try Solo Build It! Solo Build It! isn't a quick fix solution, you need to put in the time to learn what they are teaching you. I spent as much time as I needed to go through their Action Guide. Because I was very new to website building it took me a long time to understand some of the concepts but I was patient and just followed their steps and I ended up learning much more than I bargained for. I asked questions along the way and always felt supported. I trusted in their formula and I am so glad I did. Our website is growing every month and it is so exciting to see our website become the reality that I had envisioned for so long. Every month I see it reaching more and more people and I am thrilled to continue to add content and watch it grow. If you would like to learn more click on any of the links or images on this page. If you are ready to order Solo Build It! and get started turning your passions into a money making website click here to order. Once I had my website up and running, I had someone help me create my logo. A logo that I could use on my business cards and other things. I used Bronson Dunbar and he was amazing - really fast and very easy to communicate with. Leave 'How to Build a Website', return to 'Making-Healthy-Choices' homepage.